All Natural, Unscented Massage Oil by Brookethorne Naturals has been carefully formulated using only the highest quality, all natural ingredients - the result a top of the line massage oil! This expertly blended oil is the perfect texture and consistency for massage and will leave your skin hydrated and healthy. Works great for all types of massage including hot stone massage, deep tissue, sports massage and more. Excellent as a carrier oil for essential oils - Add your own essential oil blend for the perfect DIY Massage Oil! 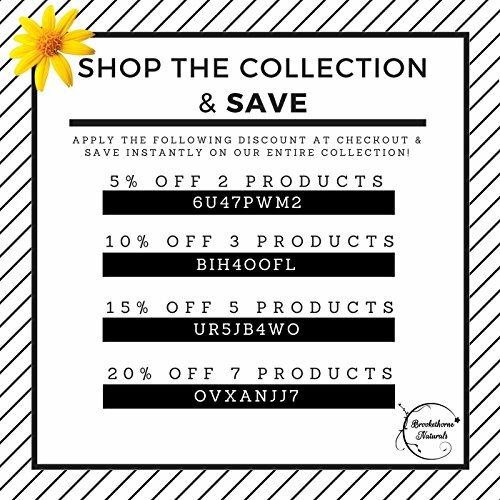 Click "Add to Cart" now and experience the Brookethorne Naturals Difference! Manufacturers Product Launch - Limited Time Special Pricing - ARE YOU TIRED OF USING MEDIOCRE MASSAGE OILS AND LOTIONS? Problem Solved, Our Almond Massage Oil is the Answer. Expertly formulated to allow for a relaxing massage that will leave skin soft and moisturized. PERFECT FOR MASSAGE THERAPY OR THE NOVICE AT HOME MASSEUSE, Brookethorne Natural's Unscented Massage Oil will allow your hands to glide smoothly and will leave the skin feeling soft, smooth & refreshed (not greasy or sticky). Works great with massage balls, foot massagers, massage stick & other manual massagers. PERFECT CARRIER OIL FOR ESSENTIAL OIL ENTHUSIASTS! This oil blend is a blank scent canvas and is perfect for adding your favorite essential oils to. MADE WITH PREMIUM QUALITY, ALL NATURAL INGREDIENTS - Sweet Almond Oil, Grapeseed Oil & Jojoba Oil. 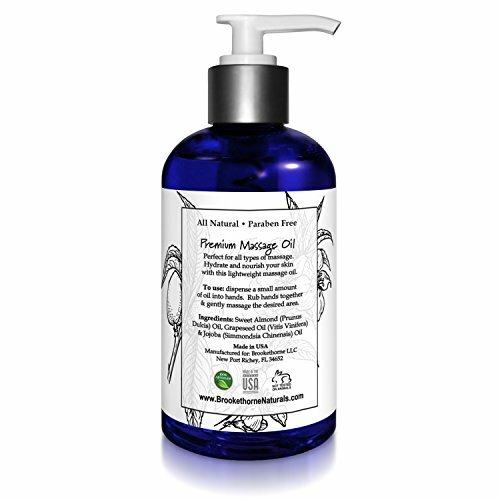 This therapeutic body massage oil is all natural and fragrance free making it perfect for sensitive skin. If you have any questions about this product by Brookethorne Naturals, contact us by completing and submitting the form below. If you are looking for a specif part number, please include it with your message.